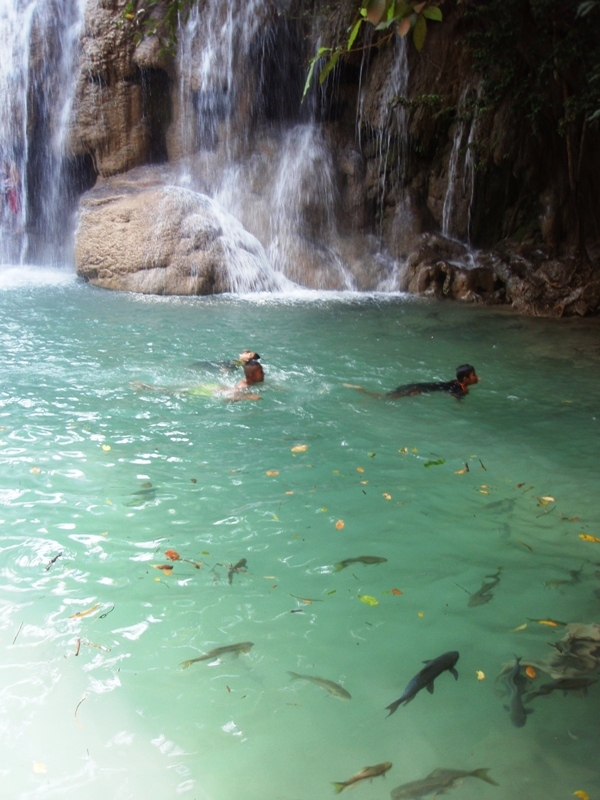 It is no wonder why the seven-tiered Erawan waterfall in Erawan National Park is so popular and busy. 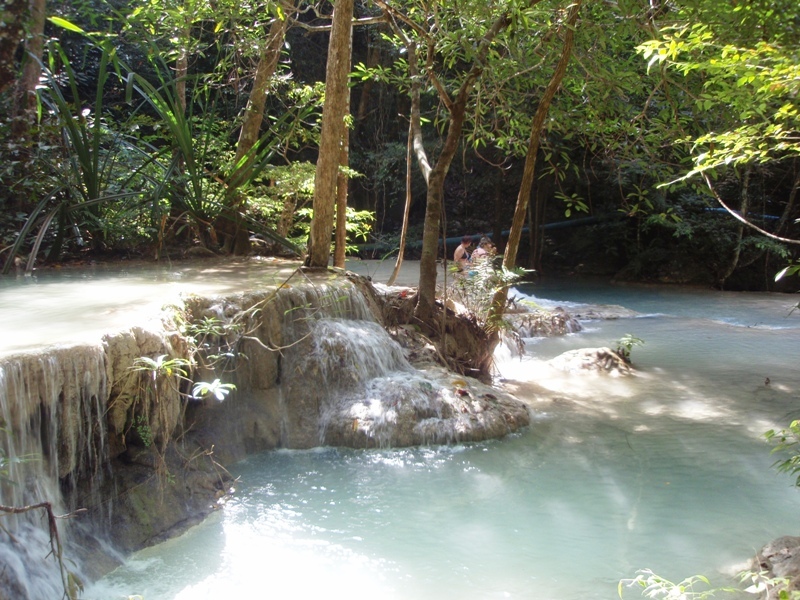 The Erawan Waterfall in Kanchanaburi is really a beautiful series of seven waterfalls each with a shape and character all its own. All the waterfalls fell over limestone cliffs. 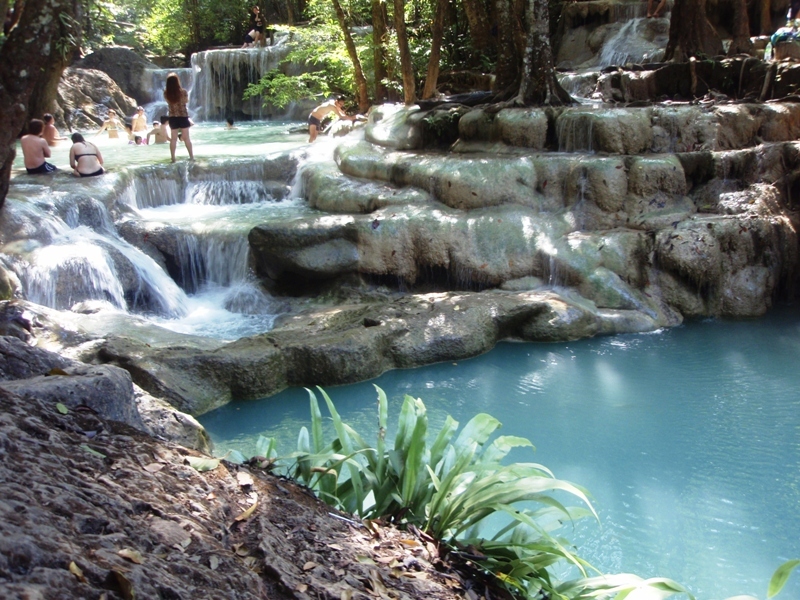 It results in colorful plunge pools as well as rounded rock formations reminiscent of cave. 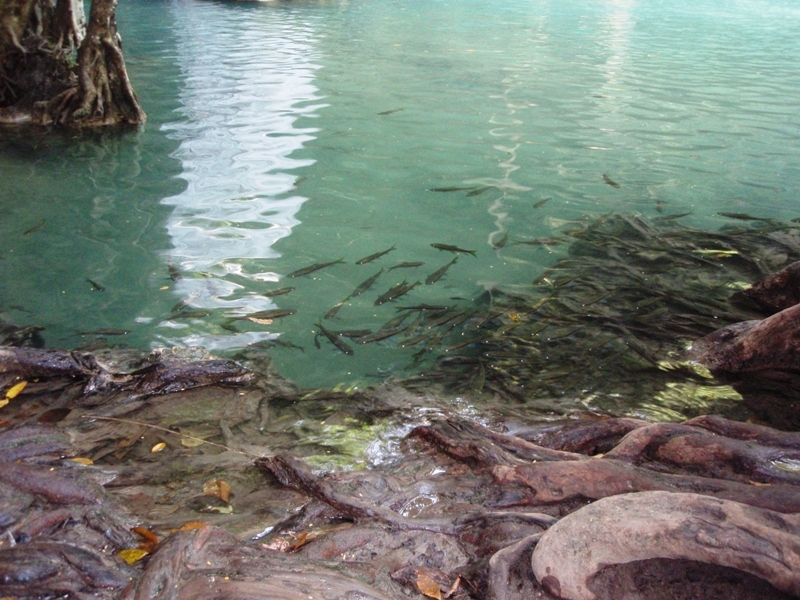 Erawan waterfalls had all – the scenery, the swimming, fishes and the exercise. 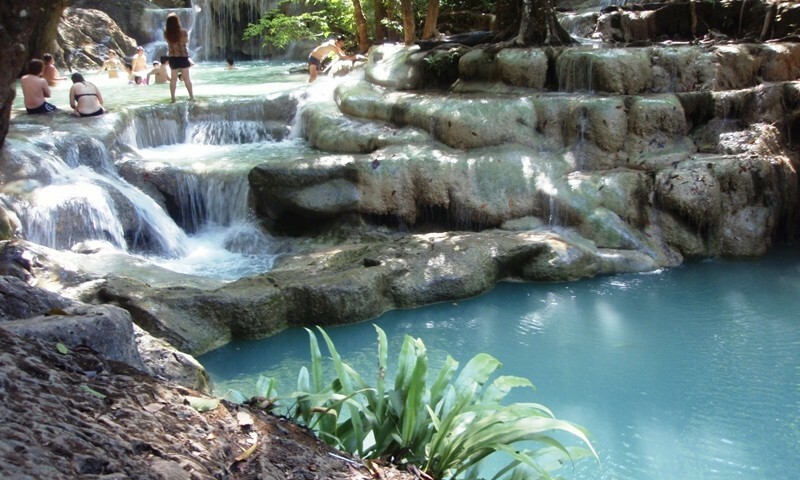 Because of hot in this part of Thailand that time, the swimming in the many beautiful plunge pools of beneath these waterfalls were enticing. From the car park, the trail started off flat and mostly paved as it ultimately reached the first waterfall, which is called Ly Kung Lung. It is only a 20m walk from the visitor center area. This waterfall didn’t seem to have many swimmers though there were some Thais families that sat on the blanket in a shadow and had a picnic. 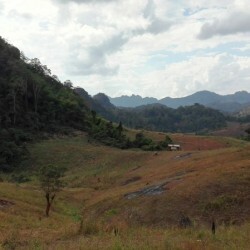 We climbed 170m from the visitor center to the second waterfall Wung Macha. There was lots of people wading and scrambling into a cave behind waterfall. In this waterfall we saw lots of fish. 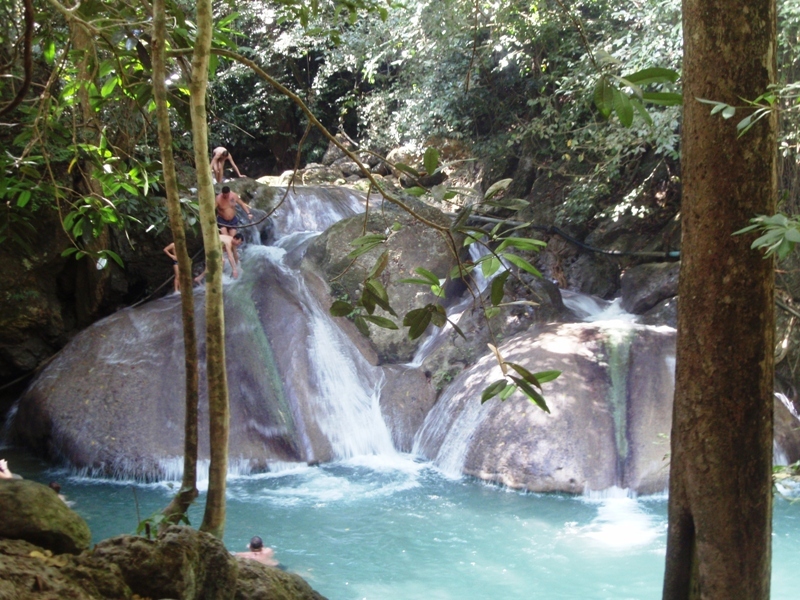 The third waterfall is called Pha Num Tok and is locate 220m. It took only few minutes of uphill hiking from the second waterfall. 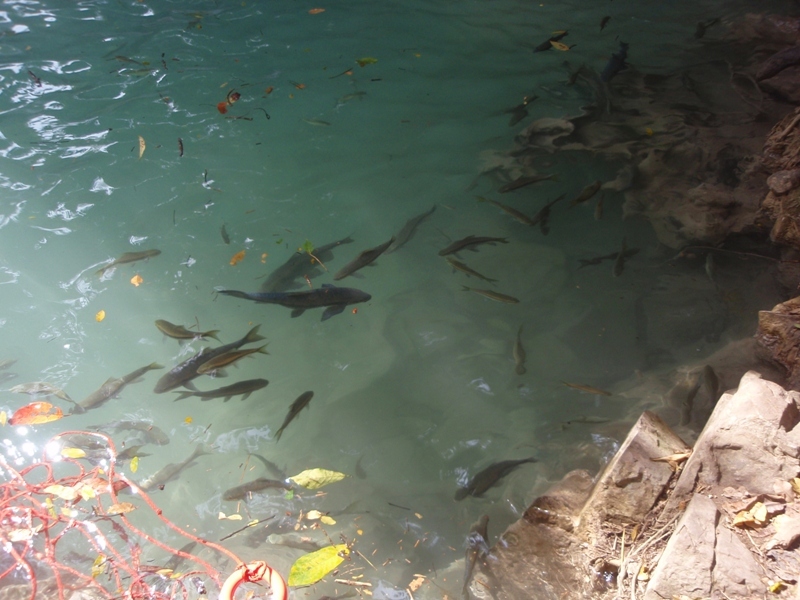 This one also had lots of fish swimming in plunge pool and was taller than the first two. We took few photos from waterside and put our legs to the water. After few minutes many fishes came and started to eat skin of our feet. It was funny because it took minutes while we accustomed to that feeling. It was very tickling so we laughed a lot. Then we waded to the other side, where there were no people, stripped to our swimming suits and went swimming to the lake. The water was cold but very refreshing. 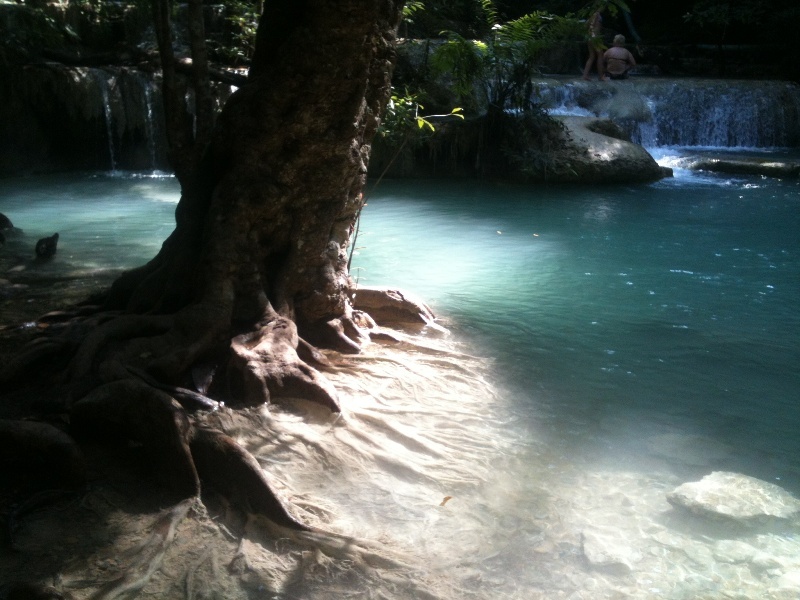 We chilled on the sun for a while and then we continued to climb to fourth waterfall. 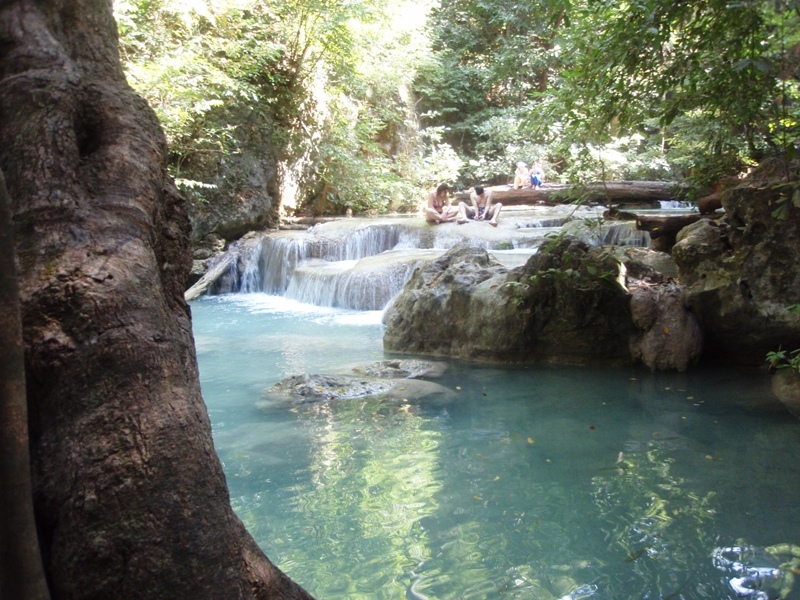 The fourth Erawan Waterfall reminds a water slide. This falls is called Oke Nank Phee Seah and it was about 520m from the visitor center. You can scoot yourself on the rounded rock of the waterslide before you jump to the water. Along the way to the fifth waterfall we saw quite a few trees wrapped around with prayer flags as well as colorful silk-like garments. 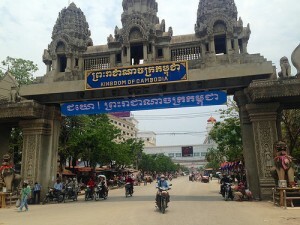 It has religious significance while also doubling as informal trail markers. 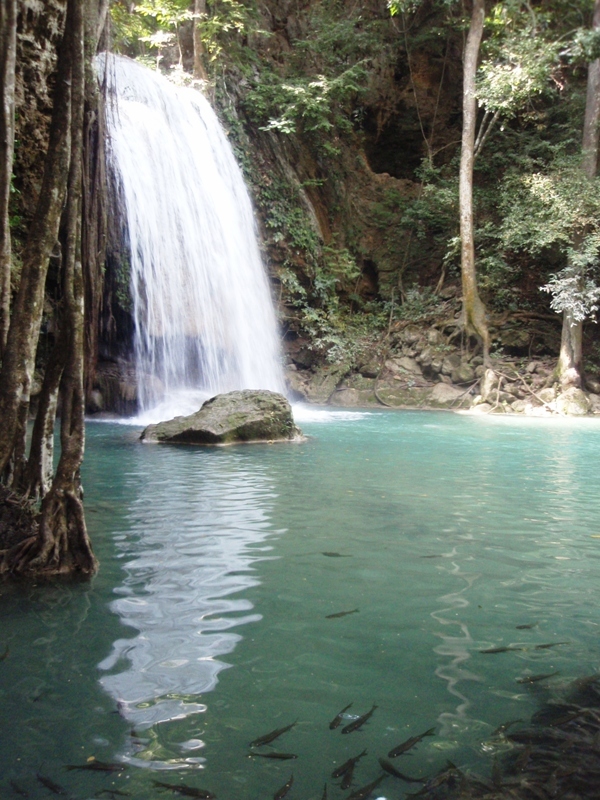 The 5th waterfall is known as Bua Mai Long and is located 1.12 km from the visitor center. 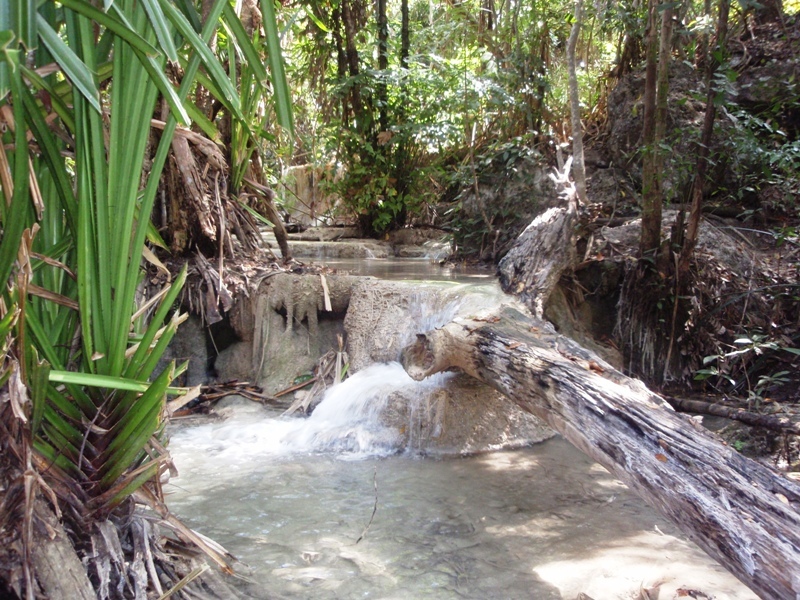 This waterfall consists of small cascades set amongst limestone. It has numbers of travertine pools. 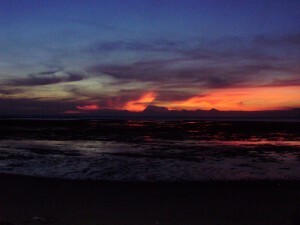 You can chill and take rest there, because it is not so busy place. The path got a little rougher as there started to be some sections with ladders and the trail was narrowed even more. Some parts of the trail a bit of stream walking. During this section we saw another falls that are unofficial, but those are as beautiful as official ones. We reach the sixth waterfall Dong Prouck Sa that is located 1.42 km from the visitor center. Dong Prouck Sa is a wide multitier cascade with some lower tiers and amazing color of water. On this spot we asked some tourists who just came down from the last seventh waterfall called which was called Phu Pha Erawan and is located 1,4 km from the visitor centre. They told us that trail involved more stream walking, more ladders and even a few narrow and drop-off-exposed sections. Because we didn’t have more time and suitable shoes we decided not to go and went slowly back. 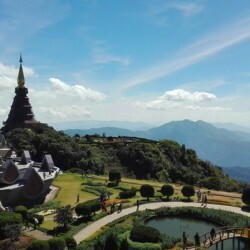 Seventh waterfall is called Phu Pha Erawan and is famous for its three upper segments coming down over a rounded limestone. It appears as three elephant trunks. Perhaps this was how the entire waterfall system got the name Erawan. Erawan was a three-headed Hindu God where each head resembled that of an elephant’s head. The entrance fee to Erawan is 200 baht for foreigners. 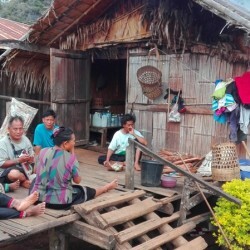 You can arrange a shared minivan in your hotel or travel agencies in Kanchanaburi for a cheap price or you can get there by public transport from the main bus station. 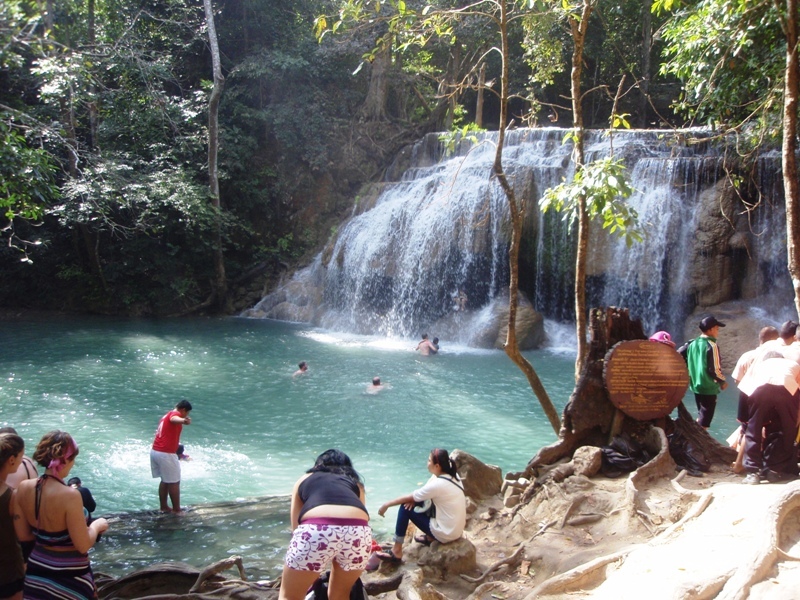 Falls are located 64km north of the town of Kanchanaburi, they are very well sign posted so if you decide to make your own way there, they are easily found. It takes around 2 to 3 hours to complete the trail. They close access above the 4th tier after at 3pm, so if you come afternoon, consider hiking to the highest tier first and then walking reverse way slowly, stopping at each tier. If you are planning on going to the top, it is best to have a good pair of shoes. Wear a swimsuit, bring sunblock and towel. Smoking is prohibited, but you can find few spots where it is legal. There are several places to buy food before you start on route to the falls, or you can have dinner after you finish your staying in Erawan.